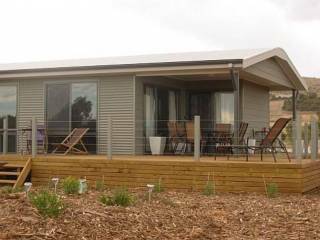 Seascape Retreat provides luxury 5 star self-contained villa accommodation on 75 acre in the hills above Victor Harbor. Each bespoke villa differs in size, layout and decor. 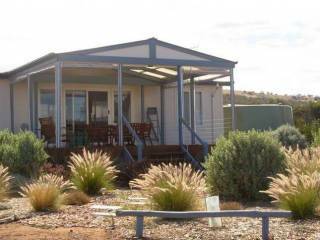 All offer complete privacy and have breathtaking valley and coastal views. Frangipani Cottage offers a unique, quiet and tranquil environment. The gardens attract an increasing population of bird life including cheeky wrens. Awake in the morning to the twittering of bird life and the warbling of magpies. Use The Bird Hide as that little retreat to get away from it all. You can spend a quiet and relaxing time simply getting that little bit closer to nature whilst still being in most comfortable surroundings. Indulge in a spa, sit on the deck and just read a book or watch the cheeky little wrens as they flit about the garden. Sip on a glass of wine and just relax. 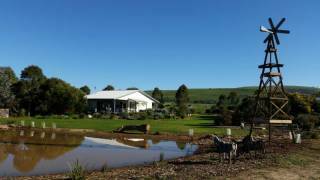 A leisurely one hour drive from Adelaide through the wine district of McLaren Vale and the stunning Fleurieu Peninsula Tourist Drive. 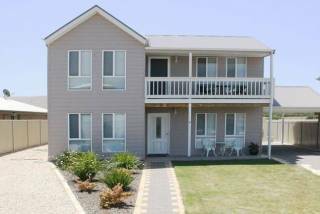 Anchorage Seafront Hotel is the ideal destination for a leisurely overnight stay on the way to Kangaroo Island. One street back from Chiton Rocks swimming beach and surf lifesaving club! This beach house is in a perfect location for a beach holiday! Listen to the ocean and walk to the beach in less than 2 minutes! 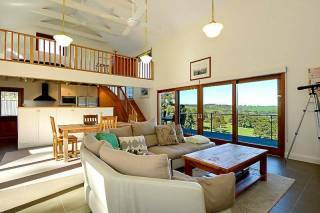 This magnificent holiday house is near new, features lovely views and offers four bedrooms with enough beds to accommodate 14 people. 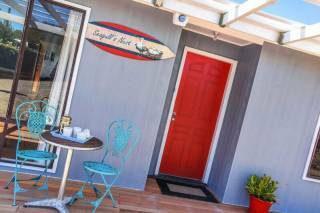 It's also conveniently located within a short walk to Boomer Beach. Beautiful rough cast solid brick building opposite Victor Harbor beach and yacht club. Glorious views of the sea and Granite Island. Perfect spot for whale watching in winter! Perfect for family holidays! Perfect spot to write your next novel! Charming Family Beach Home with Superb Ocean Views! Sea views from the comfort of a gorgeous home in a to-die-for location, just 700m on foot to the pristine sands of beautiful Chiton Beach. While you enjoy the stay in our unit, why not see a movie at the local Cinema, doing some shopping or have a meal at any of the 3 Hotels located only metres away by foot. 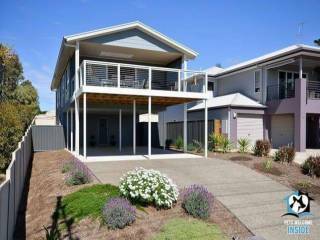 Less than 2 years old, this modern, energy efficient, 2 storey home with a huge balcony and wonderful sea views is a brilliant holiday house for you and your pets. 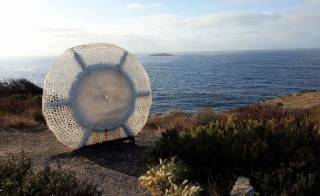 Panoramic uninterputed sea views to Granite Island and across Victor Harbor. Walking distance to Hayborough's pristine swimming beaches. Located a few paces from the town center in picture perfect Port Elliot. 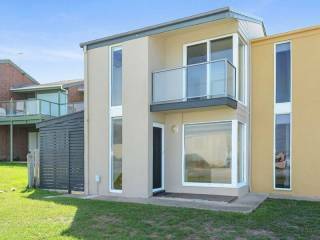 Modern beautifully appointed, 3 bedroom, 2 bathrooms, 2 living areas, with lock up garage for 2 cars. Walking distance to hotel and restaurants. 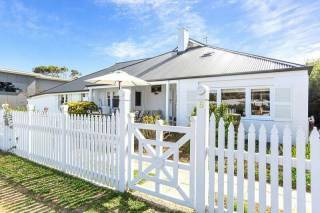 This highly desirable and most popular holiday house is perfectly located centrally in the heart of Port Elliot. 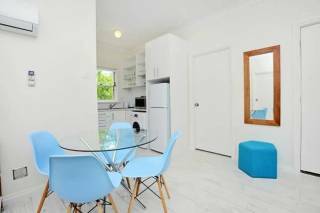 Close to local shops, boutiques, galleries and antique shops, you've got it all, just metres to the main road and a quick walk to the beach.